This privacy notice sets out how we use and protect any information that you give when you use this website. We are committed to ensuring that your privacy is protected. Should we ask you to provide certain information by which you can be identified when using this website, then you can be assured that it will only be used in accordance with this privacy statement. We may change this notice from time to time by updating this page. You should check this page from time to time to ensure that you are happy with any changes. We may collect information about your computer, including where available your IP address, operating system and browser type, for system administration and to report aggregate information to either Goldcrest Cleaning or our advertisers/partners. This is statistical data about our users’ browsing actions and patterns, and does not identify any individual. We will not transfer any of your data to any third parties without your permission or unless indicated in this privacy notice or agreed by you on a form on the Websites. You have the right to ask us not to process your personal data for marketing purposes. We will usually inform you (before collecting your data) if we wish to use your data for such purposes or if we intend to disclose your information to any third party for such purposes and request your consent to these activities. If you wish to change your mailing preferences or opt-out of specific marketing communications sent from Goldcrest Cleaning Limited, you may notify us via our Contact us form. Alternatively you may contact us on +44 (0)1926 497010. It may take up to 21 days for the changes to come into effect. Please note that this will not alter your current email subscription preferences. Our website may, from time to time, contain links to and from the websites of our partner networks, advertisers and affiliates. If you follow a link to any of these websites, please note that these websites have their own privacy notices and that we do not accept any responsibility or liability for these notices. Please check these before you submit any personal data to these websites. The GDPR Act gives you the right to access information held about you. Your right of access can be exercised in accordance with the Act. Any access request may be subject to a fee (as amended from time to time) to meet our costs in providing you with details of the information we hold about you. We will take reasonable steps to create an accurate record of any personal data you have submitted. However, we do not assume responsibility for confirming the ongoing accuracy of your personal data. You can update your personal data by emailing us at info@goldcrestcleaning.com or by calling us on +44 (0)1926 497010. Please note that it may take up to 21 days for the changes to come into effect. Any changes we may make to our privacy notice in the future will be posted on this page. By continuing to use our Website you will be deemed to have accepted such changes. 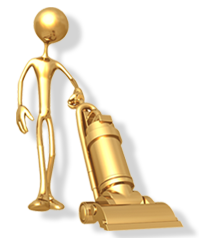 The Goldcrest cleaners, supervisors, managers and directors all work together within a settled environment creating an effective and efficient workforce; to establish and maintain a high standard of cleaning service for our customers.